I am working on a mystery quilt that Cheryl at Meadow Mist Designs has created and so far, I have kept up. It's not a large quilt - 60 inches square. I'm using my stash to get it done. It's been fun to see all the different fabrics the other participants are using. The posts are viewed at the facebook page. Here's my version of November's instructions. I think the blue is a tad darker in this photo. This is closer to the true colour. It will be interesting to see how all of the pieces fit together. 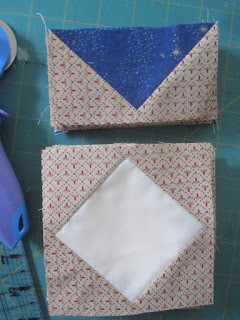 I'm linking up once again with The Needle and Thread Network. I'm off to get some sewing done. Perhaps a bunch of bibs this time - since new ones are needed. 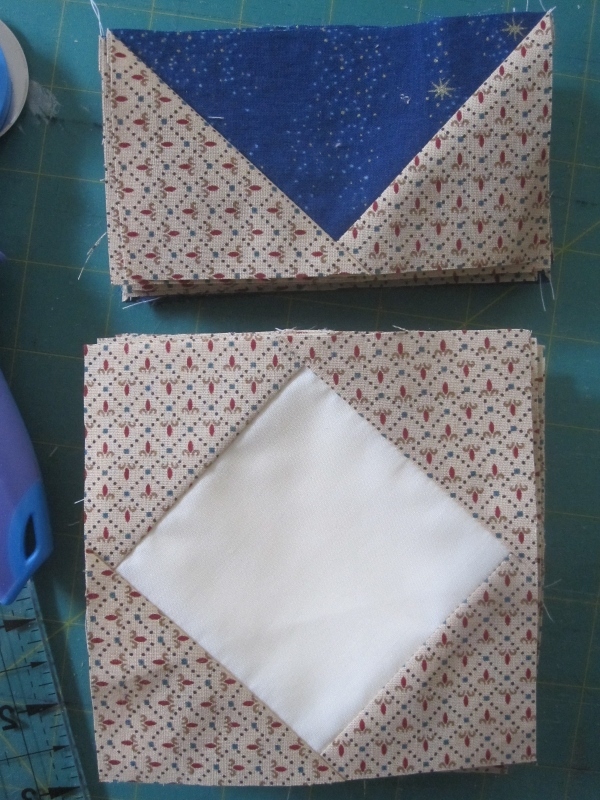 I LOVE mystery quilts. Keep us posted! Looks great. I am doing the 150 Canadian Women that Next Step Quilt Designs is hosting. I checked her blog; it looks like a nice mystery. Do you make your flying geese the way she does?